The German Research Foundation (DFG) will continue its funding for the Collaborative Research Center (CRC) 1044 "The Low-Energy Frontier of the Standard Model: From Quarks and Gluons to Hadrons and Nuclei" at Johannes Gutenberg University Mainz for a further four years by making approximately EUR 12.5 million available from January 1, 2016 for research on fundamental aspects of the subatomic world. 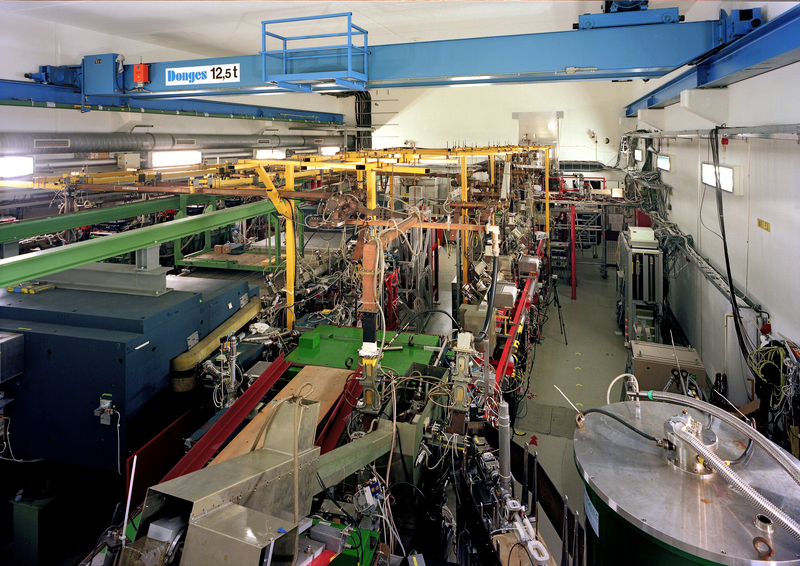 The participating researchers work at the Mainz particle accelerator MAMI while also developing experiments to run on the future particle accelerator MESA. In addition, the Mainz-based team will continue to cooperate closely with the BES III Experiment in Beijing in China. "We are very pleased that the support for our research center has been extended. Thanks to the excellent framework conditions for research and innovation that are currently being established particularly in our research area at Mainz University, we will be able to make significant progress with our physics program within the CRC," explained Professor Achim Denig. "Precise measurements and theoretical analyses will allow us to pursue various approaches that may provide insights taking us beyond the Standard Model of particle physics," added Professor Marc Vanderhaeghen. The two physicists from the Institute of Nuclear Physics at Mainz University (JGU) are the coordinators of the new collaborative research center. The 20 leading scientists of the CRC can draw on years of experience and expertise. 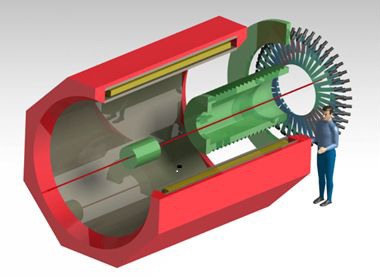 The Mainz Microtron MAMI, a particle accelerator that produces a high-intensity electron beam, has been in operation at Mainz University since 1990. 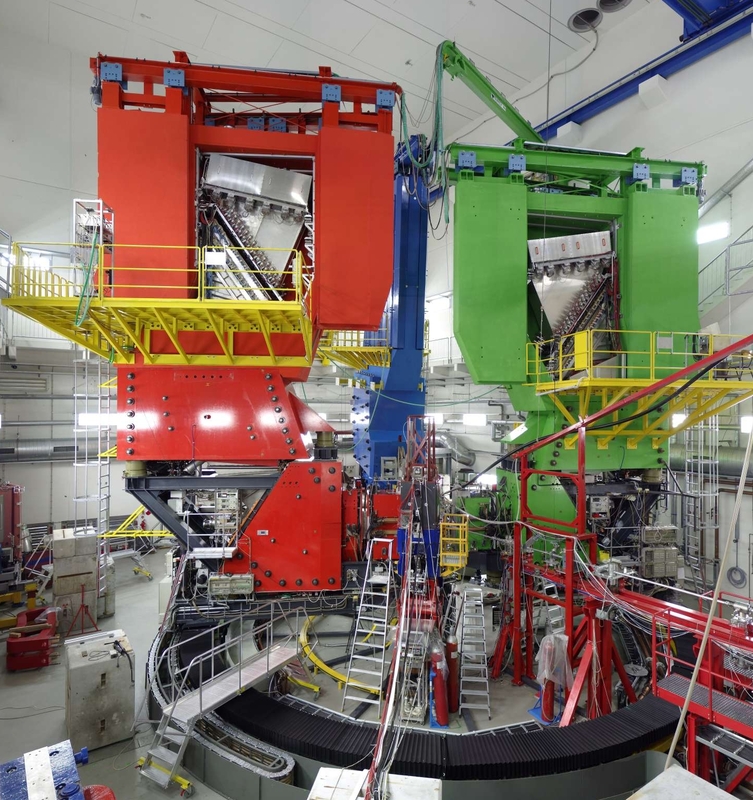 The accelerator generates a well defined, extremely precise beam with which scientists from all over the world are carrying out rigorous investigations on the structure of matter at the subatomic level. With the approval of the "Precision Physics, Fundamental Interactions and Structure of Matter" (PRISMA) Cluster of Excellence in the German Excellence Initiative, the construction of a new type of electron accelerator was made possible in 2012. By means of energy recovery, MESA is able to achieve an extremely high beam intensity that would otherwise require a massive consumption of power. In June 2015, the Joint Science Conference endorsed the construction of a Center of Fundamental Physics that will incorporate the MESA experimental hall, thus providing an ideal research environment. The CRC 1044 will focus on several specific aspects over the coming years. One highly topical question concerns the radius of the proton, which may be significantly smaller than previously thought. Important results in this context have already been obtained using MAMI. A little more than two years ago, the BES III Experiment in Beijing found evidence of the existence of so-called tetraquark states, i.e, a completely new form of matter composed of four quarks. A team of about 30 researchers from Mainz collaborates in these and other experiments at the Chinese electron-positron accelerator BEPC-II. Another issue of interest is the anomalous magnetic dipole moment of the muon, one of the most precisely measured quantities in physics. On the basis of a comparison of the experimental results and the theoretical calculations, it is possible to draw conclusions on the validity of the Standard Model. In addition, future high-precision measurements of the weak charge of the proton at MESA could enable physicists to break new ground beyond the boundaries of the Standard Model. Similar measurements of atomic nuclei will make it possible to answer questions in astrophysics, such as determining the structure of neutron stars.